Your rocked those giraffes ... love it. 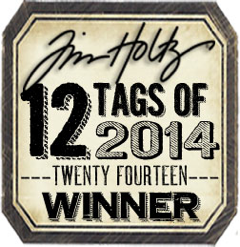 What a fun stamp, Julia! These giraffes make me laugh, especially the party animal with the googly eyes! 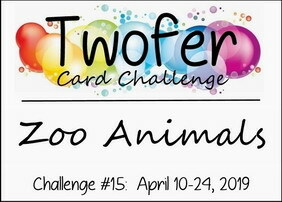 Two fun cards! Oh my gosh, these are the cutest ever. 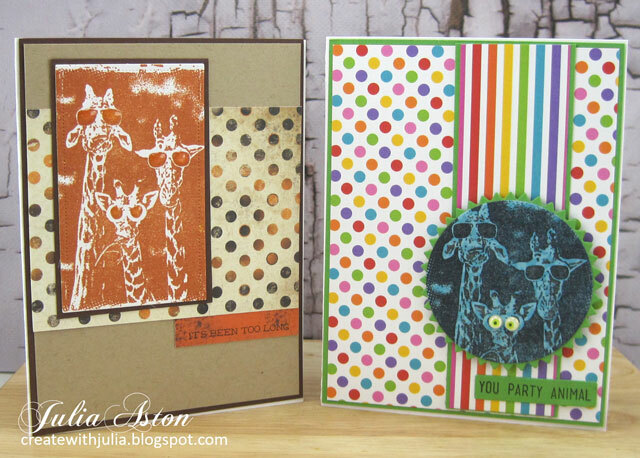 I love both sentiments you used and the giraffes are adorable and the polka dots are so fun. Those giraffes are so much fun!! Love their sunglasses (and the googly eyes on one of them) - and also love all the polka dot and striped papers you used. 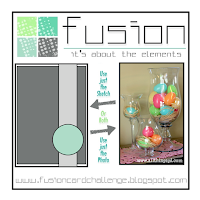 What a great stamp with two different designs and purposes... you aced this challenge! 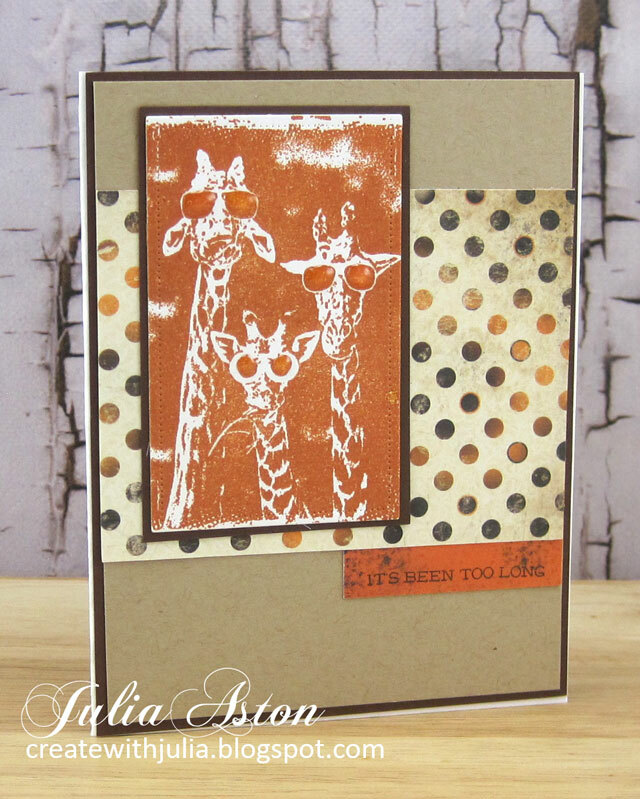 The sentiment for each is perfect, but I especially love the "it's been too long" with those long-necked giraffes. Too funny! And those eyes! There's one goofball in every crowd, isn't there? 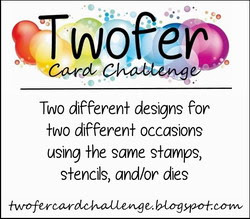 Thanks for playing along with us at Twofer! You have really made the same stamp look so different and funny too. 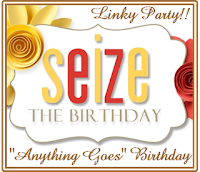 Thanks for joining in the fun at Seize the Birthday Challenge, Anything Goes. Great job combining challenges. Those giraffes are too funny! I love the combination of colors and patterns too. So bold! 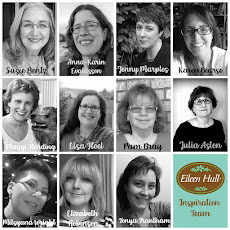 Thanks for playing along with us at Freshly Made Sketches! 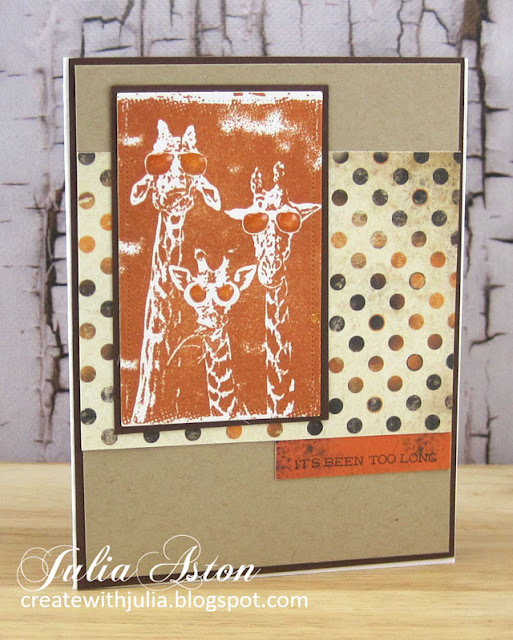 Fun giraffe trio and I love how you used it, Julia! Especially love the big eyes on card two - really gave me a chuckle!! Oh I love these giraffes! 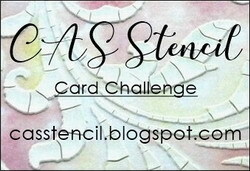 This image is soooo cool and I love how you've used it on your cards. 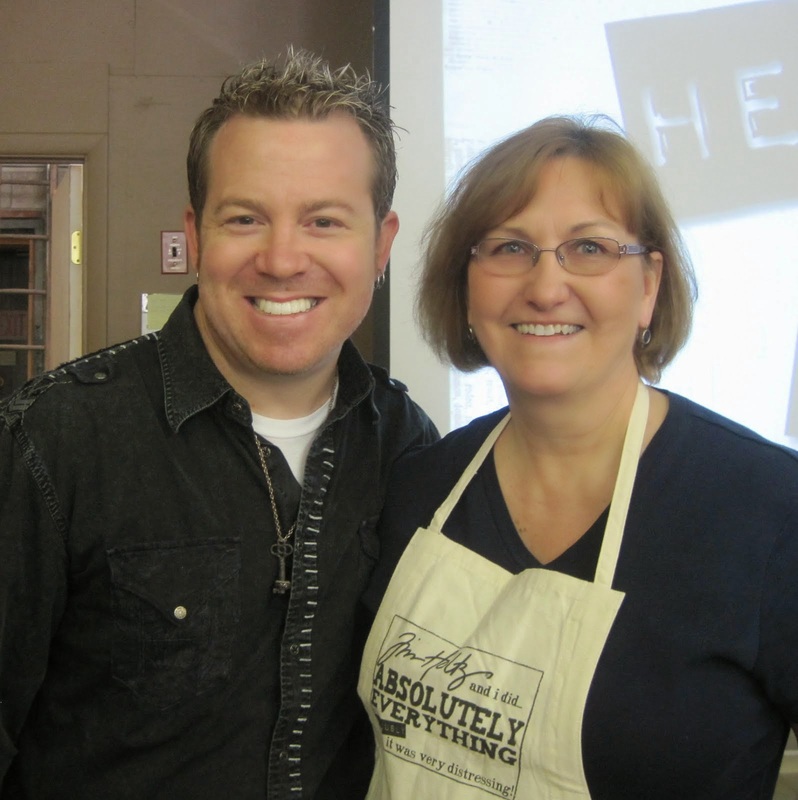 Thanks for joining us at FMS this week! 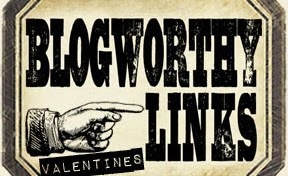 What a riot! I love those giraffes and their shades! So clever with the eye stickers, I had to laugh! 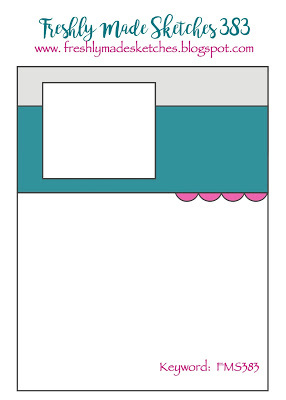 What a great idea to use two different sketches! 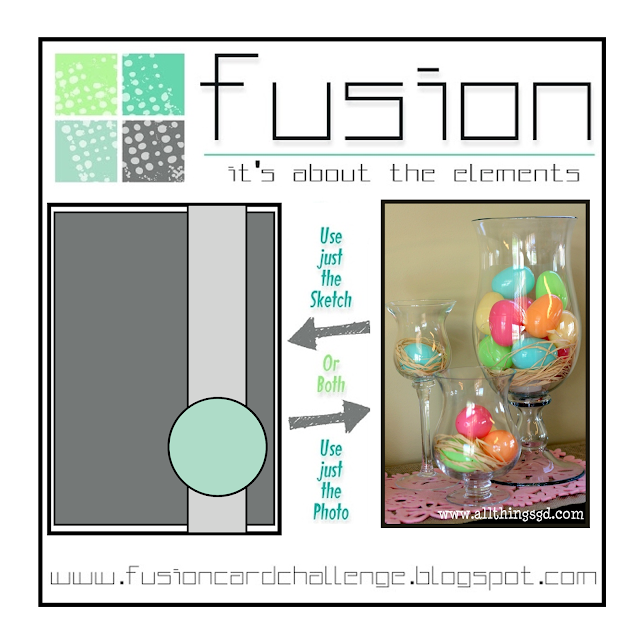 It's a perfect way to play in three challenges and both designs are fantastic! 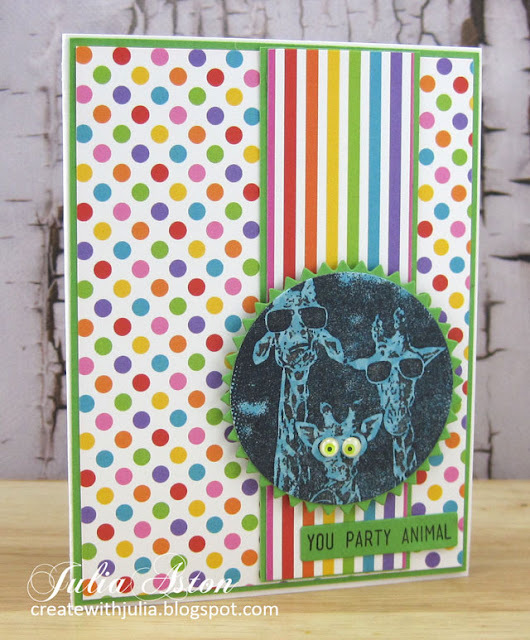 I love your "African safari colors on your first card, and the festive rainbow of colors on your second! 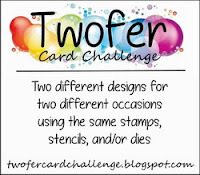 Thanks for joining in the fun with us at the Twofer Card Challenge!